Hello guys, if you are wanted to learn Web Development this year and thinking that it's too late to make that goal than let me tell you it's never too late. In this article, I am going to share some of the best Web Development courses you can take to learn online by yourself. 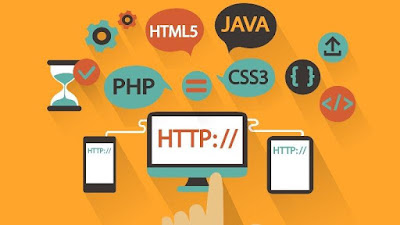 If you are a regular reader of this blog then you might know that earlier I have shared about The 2019 Web Developer RoadMap which outlines how you can become a Modern Web Developer everybody wants to hire. In that post, I have explained how you can learn everything about Programming and Web Development from scratch and with no coding experience. I have also shared about my three-point formula to learn a new technology or framework, which I have used in past to learn many technologies in the past like Git, Data Structure and Algorithms, Hibernate, Kotlin, Docker, and Android to upgrade my technical skills. You can also use the same technique to become a Web developer this year. In general, you should generally start with a good online course, which will help you understand the most important part and gain some hands-on experience e.g. how to set up your development environment and build some simple applications. Once you understand fundamentals, you can read a book to get more comprehensive coverage of all the concepts covered in the online course and something which has not been covered at all. After completing the book and online course, you should be able to develop a real-world application to test my knowledge and fill gaps in your learning. I have been sharing a lot about good online courses to learn new technologies, frameworks, and libraries recently like in the last article, I have listed down some of the free Java courses and today I'll list down top 5 Web development courses from Udemy which I have bought and joined myself. They are still essential but not enough, you also need to learn modern web development frameworks like React, Angular, Bootstrap etc to develop modern web applications. These frameworks have made web development more structured and organized. They also allow you to build from just a single page web application to full-fledged, real-world web applications like Facebook, Airbnb, or Uber. If you have interest in learning cutting edge technology like React JS, Spring Web-Flux, Redux, Bootstrap then these web development courses are good to start with. You will get exposure to many client sides and server-side technology by going through these courses. If you need to buy just one course to learn web development this should be it. This course will teach many key web development technologies like HTML, CSS, JavaScrip, Node JS, etc. The course is designed in Bootcamp style and run by a former Bootcamp instructor and you know how costly those boot camps are, costing you anywhere from 10,000 USD to 20,000 USD and you get that in just $10, amazing isn't it. This course is also unique in the way that it is structured and presented. 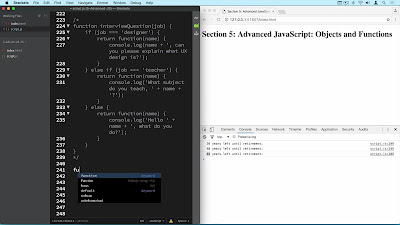 It's not like other online courses where you just watch instructor coding. It's more interactive and mix of theory, session, exercise, demo, and research assignment. 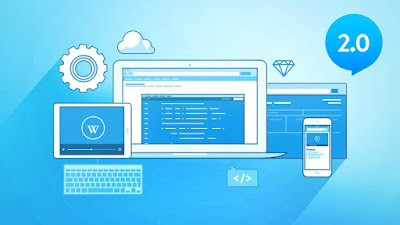 In short, the best course for beginners who want to learn web development from scratch. This is sort of next part of the previous course whereby Colt Steele, the author, and former BootCamp instructor will teach you advanced web development technologies like React 16, Redux, D3, ES2015, Testing, CSS Flexbox, Animations, SVG, AJAX etc. The best part of this course is that you will make REAL web applications using cutting-edge technologies. You will build over 10 projects and have dozens of code challenges with solutions to understand the material and learn how to apply it. It teaches you to end to end development e.g. writing both client and server-side code. The course will show you how to build your own responsive websites using more advanced techniques such as jQuery, PHP 7, MySQL 5 and Twitter Bootstrap. You will learn about coding and debugging techniques. You will also learn how to organize and structure your code using modules and functions. The Complete GuideYou just can't leave anything in terms of web development which is backed by Google and Angular is one of them. This course will teach you how to master Angular (Angular 2+, incl. 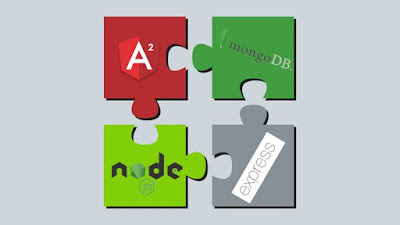 Angular 7) and build awesome, reactive web apps with the successor of Angular.js, though you don't need to know Angular 1 or Angular 2, the course starts from scratch. From Setup to Deployment, this course covers it all! You'll learn all about Components, Directives, Services, Forms, Http Access, Authentication, Optimizing an Angular App with Modules and Offline Compilation and much more. After completing this course, you will also learn how to build and deploy an Angular web application. Udemy is running their flash sale this weekend, where they are offering all the courses in just $10.99 and I have been spending a lot of time going through their website to buy some of the top quality courses in this sale. If you look at the price, its nothing, if you escape snakes for 1 day you can buy a course in Udemy to learn and the best part of this is that you get the lifetime access of course. So you can use it whenever you get time, maybe this week, this month, or sometime later. I love learning and for the most part of my life, I learned by reading books but ever since I come across online courses on Udemy and Pluarlsight, I have spent most of my time learning through online courses. They are the best way to start with the new technology and get yourself up and running in no time. That's all about some of the best web development courses from Udemy you can buy in their New Year Sale. So what are you waiting for, hurry up before the sale ends on 11th January? Remember, the original price of these courses are around $200 and getting them in just $10 is the lowest you can get. Thanks for reading this article so far. If you like these web development courses then please share with your friends and colleagues. If you have any questions or feedback then please drop a note. P. S. - If you are looking for some free resources to start with your web development career then you can also check this list of free Web Development courses for Programmers. How much long time it will take to learn all these courses ? Is this list still relevant for 2019?